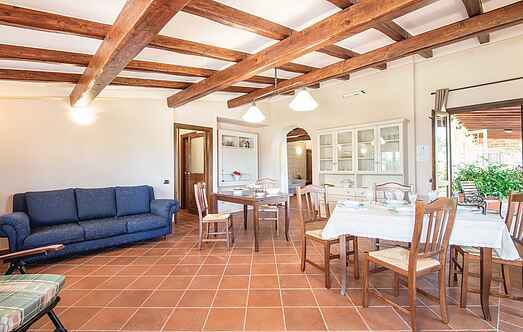 Find a vacation home to rent in Viterbo from our list of vacation rental properties. Campaya has over 129 vacation homes available in Viterbo, which give you the possibility to locate a unique accommodation in Viterbo which completes your check-list in search for the perfect self catering vacation apartments in Viterbo or vacation villas in Viterbo. Country house with swimming pool in Castiglione in Teverina, at the border with Umbria region. Exclusive use for guests swimming pool above ground (prof. 1. Beautiful and comfortable property made up of a manor villa, an annex and a pool-house. 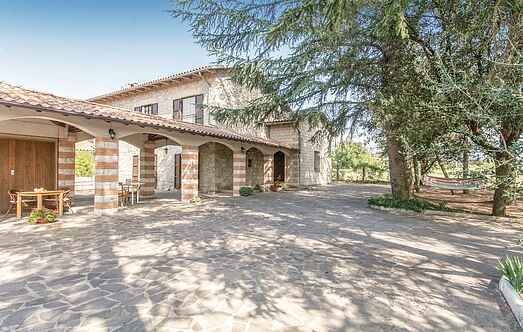 The property is located on the outskirts of Corchiano, a small town of Etruscan origin. This country house, which was divided into apartments, is set in the heart of the region Tuscia, between hazelnut, chestnut and fruit trees and 2.5 km from the center of Capranica. Lovely holiday apartment with shared pool just 5 km from the fine sandy beach of the beautiful sea coast of Montalto Di Castro. This charming holiday house with above ground pool is nestled amongst the green countryside of Soriano nel Cimino, 28 km from Viterbo. This charming property is situated on a hill overlooking the splendid Etruscan hamlet of Capranica (Rome 55 km).